When four boys find an old pirate’s map in the attic, they embark on the fantasy treasure hunt of their lives! Experience this Steven-Spielberg production digitally remastered and on the big screen. This Spielberg classic was filmed in Astoria Oregon, where ‘Goonies Day’ is celebrated every year. In fact, the Goon Docks neighbourhood in Astoria, where they are all from, give the famous foursome their name. 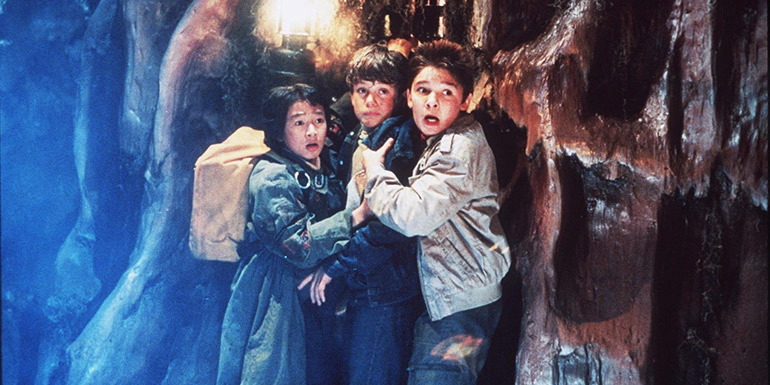 Fun-filled, swashbuckling and timeless – Goonies never say die!